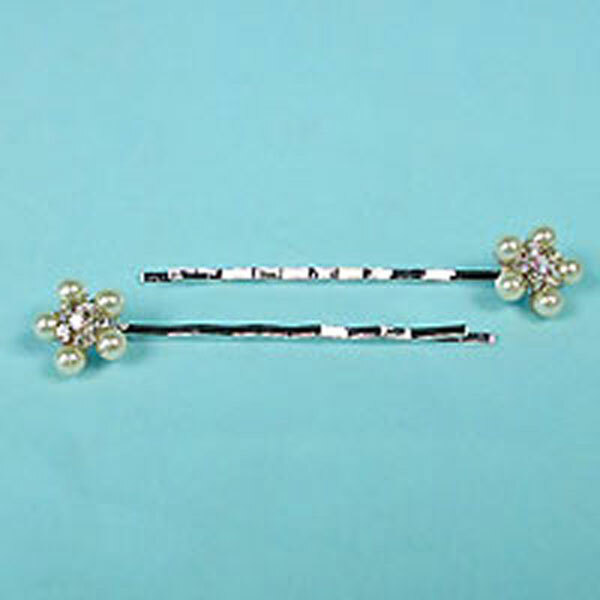 Bobby Pins Trimmed with Pearls and Rhinestones Set of two bobby pins fashioned with a small pearl and rhinestone flower at the end. They make the perfect hair accessory for fly away hair. Color: ivory Hue: Code: #F2ECD6. Measurements: width 1/2", length 2½.